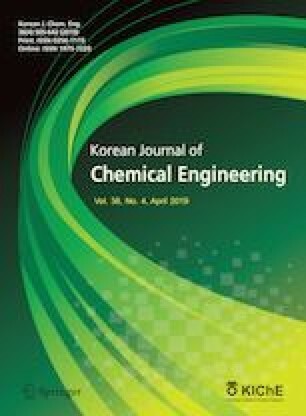 A sulfonated Sn-doped KIT-6 catalyst (Sn-KIT-6-Pr-SO3H) was successfully prepared via the hydrothermal self-assembly method, and its performance towards to value-added lactic acid production from one-pot conversion of renewable cellulose was investigated. Indeed, the physicochemical features of the as-prepared catalysts were deeply characterized by various techniques, including XRD, BET, SEM, FT-IR, XPS, UV-vis and TGA-DSC. The results confirmed its high BET surface area with an ultrahigh cross-linked framework and promising acid strength (co-existence of Brønsted and Lewis acidity). Additionally, the impact of different reaction factors, such as the type of catalysts, temperature, time, recyclability on cellulose conversion and the yield of targeted lactic acid, were determined. Meanwhile, the developed catalyst depicted the promising activity and stability under the optimal reaction conditions. It could be recycled at least four times without any obvious deactivation. This provides insight into developing efficient catalytic systems to convert renewable biomass into value-added chemicals.